A good read, but not a great one. First off, it's very short. The life of a man like Jackson is difficult to distill into less than 500 pages. For that reason, this book focuses almost exclusively on his years as President. That brings me to the next strike against it: it glosses over the formation of his character, which in a biography about a man like Andrew Jackson, is practically unforgivable. Thirdly, an unfortunately large portion of the contents revolve around the people around Jackson and their interactions with each other, not Jackson. Of course, these people did not live for Jackson, and as such Jackson is not always the object around which they orbit. But in a book about Jackson, one would think the author could restrict his scope to just those trajectories (especially when there's only a scant 400 some odd pages of content!). 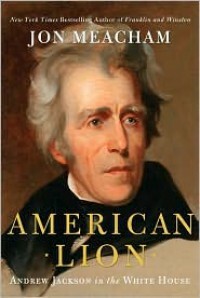 To be fair to Meacham, however, he did make this clear in the prologue when he said the following: "This book is not a history of the Age of Jackson but a portrait of the man and of his complex relationships with the intimate circle that surrounded him as he transformed the presidency." While I appreciate the caveat, it just left me wanting more. He acknowledges he hasn't written a political biography, yet the last ~150-200 pages were pretty much focused just on politics. (Those pages also happened to be the best of the book.) For that reason, I don't think he was even consistent with his purpose. While a large swath of the book was indeed a "portrait of the man and of his complex relationships," a roughly equally large portion felt like a standard political biography, which I would have preferred. Overall, it was enjoyable and I appreciate that it gave me a glimpse, albeit a narrow one, into who Jackson was. Meacham writes well and is generous with quoting directly those whom he writes about. The book's greatest strength, however, is that it whet my appetite to learn more about the 7th President.. I'll be doing my research into whose biography to read next. Preliminary choices are Brand's single volume or Remini's trilogy.